PowerBlankets Single Drum Heaters - Benko Products Inc. 30+ Years as a Manufacturer, Providing Innovative, Quality, Cost-Effective Solutions for Various Industrial Material Handling and Safety Applications. 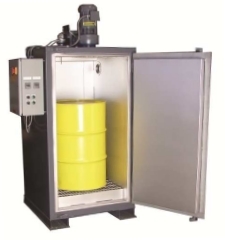 Benko offers a few different options that can be selected when only one (1) 55 gallon drum needs to be heated. 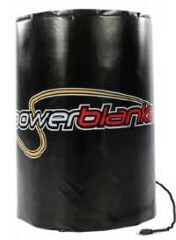 Along with manufacturing single drum capacity Sahara Hot Box drum heaters, we're also an official distributor of the Powerblanket® line of tote, drum and pail heaters. See our various single drum heater options below. Contact us for expert guidance and support. We offer Electric and Steam powered Drum Ovens. 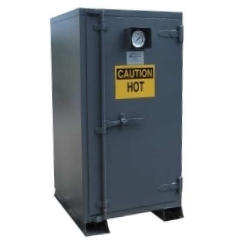 See all of our Drum Heating options here. Contact Us is you need assistance. Our experts are standing by.